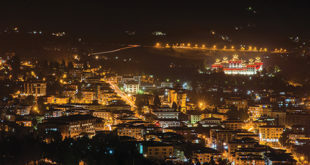 Bhutan InfoComm and Media Authority (BICMA) has handed over a total of 400 entertainment licenses from across the country to Ministry of Economic Affairs (MoEA). 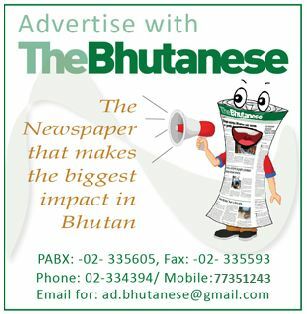 Of the 400 licenses, Thimphu alone has 153 licenses followed by Phuntsholing and Paro. Gasa and Lhuentse have the least with only one entertainment license each. Entertainment in such context would include drayangs, discotheque, karaoke, music hall, game parlors, snookers and Luyungs. Prior to BICMA taking charge of the entertainment sector in the year 2009 as per the BICMA Act 2006, it was under the mandate of MoEA itself. There, however, will be no changes in the procedure of licensing and rules and regulation with the change being in identifying MoEA as the rightful agency. The list that they have submitted to MoEA includes licenses that need renewal and licenses which have been suspended. The authority compiled Dzongkhag wise database so that it would be easy to retrieve any data and ease the process by track-recording the offences committed by the license holder in the past. The Director General of BICMA said that although they’ve handed over the entire entertainment licenses to the Ministry, he said that the authority is ever ready to provide any support if and when required by the Ministry. “BICMA will not deal anything related with entertainment henceforth”, he said, adding that, BICMA will now handle only telecommunication, ICT, media (television, print, radio and books) and Bhutanese films. He said that it is better that entertainment section is going to take up by MoEA because it is not right for an ICT and media regulator to look after an entertainment sector as it does not fit their mandates at all. The director also said that it was challenging for BICMA as they had to look after all the entertainment related issues from 20 Dzongkhags which requires regular monitoring. However, now that MoEA is taking over, they said that the Ministry will be in a better position to do the job as they have more man-power and they have regional offices throughout the country. He said that they have enclosed two directives, one stating that they are still implementing the blanket freeze on drayang which came into place since 2009 and, just recently because of too many licenses (153) issued in Thimphu, they also froze all the entertainment licenses in Thimphu since December 2017. 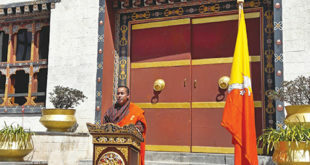 “Since that was an independent decision made by the board in Thimphu, MoEA now has the authority to release it”, he added. However, he said that, “The Ministry cannot lift the blanket freeze of Drayang which was implemented in 2009 due to certain validating reason”. In addition, he said that they have cancelled few entertainment licenses in the past which are not included in the list submitted to MoEA. They have cancelled the licenses due to repeated non-compliance even after levying fines or issuing notice and providing time before going ahead with the cancellation. The Director General of Department of Cottage and Small Industry under MoEA, Tandin Tshering said that they have handed over the entertainment activities in the past to BICMA as per the Act, but he feels that their jobs are made much easier because of the fact that BICMA has already put regulatory mechanism in place even if MoEA has to deal with the entertainment sector henceforth. “It is easier for us to take on what BICMA has achieved so far and we are in the process of aligning to give Ministry’s mandates the same rules and regulations. We will always try to maintain the interest that the BICMA has reminded and we will always see the interest of general public”, he added.